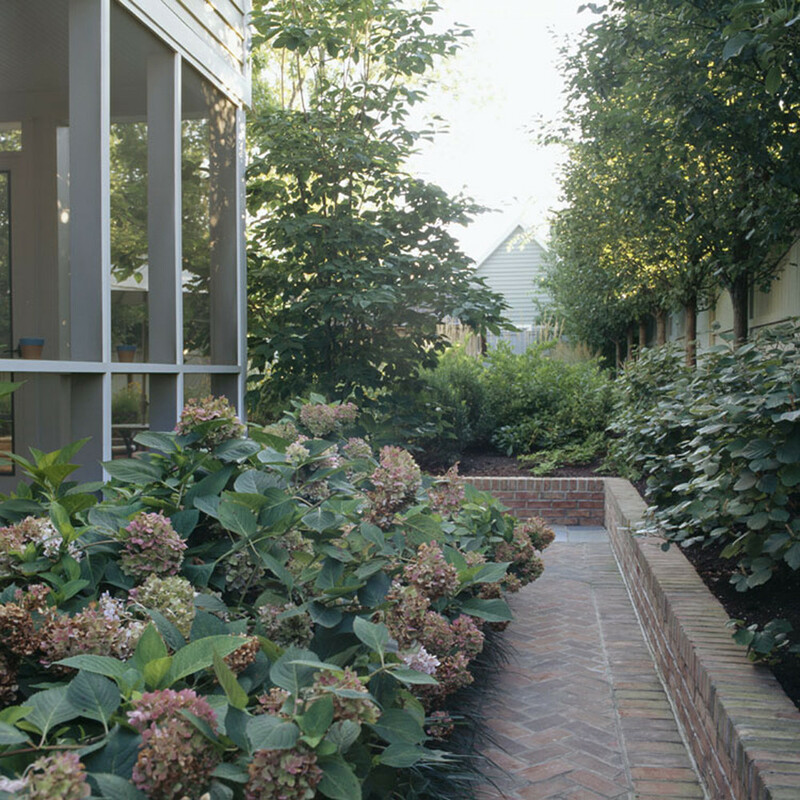 South Fork Studio created order in a small space by linking new garden elements with the restored 19th century house along a central garden axis accentuating the linear shape of this garden. 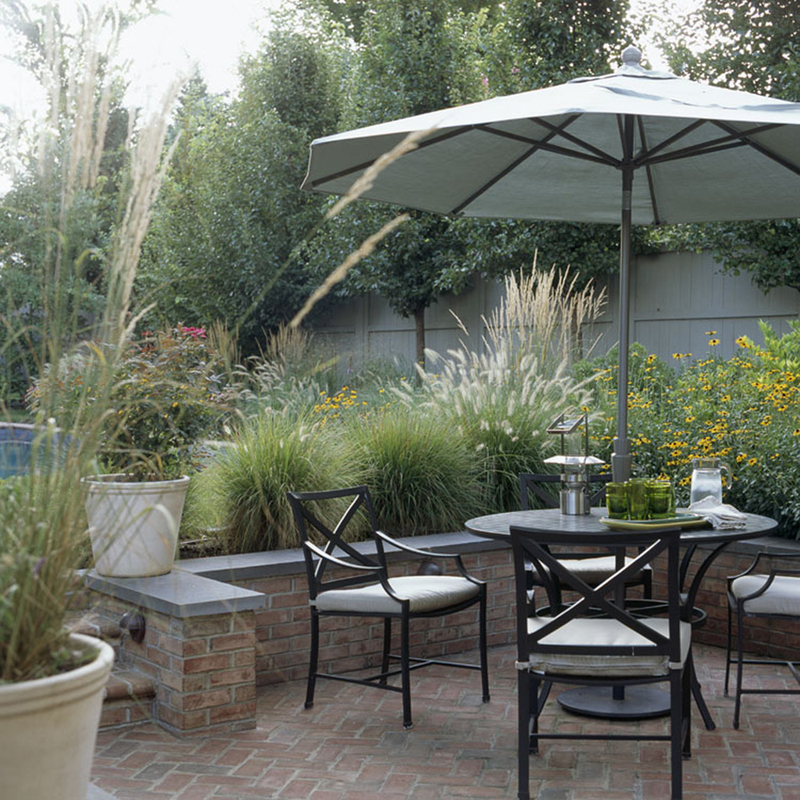 New features including a swimming pool, pool house and sunken terrace now make this garden a hidden gem in downtown Chestertown. 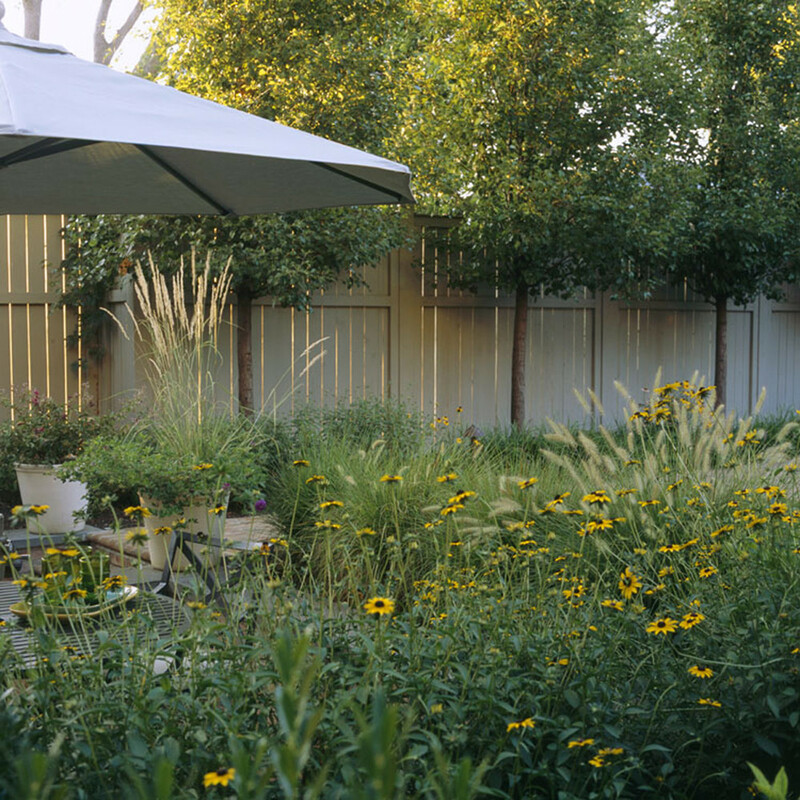 Native plants throughout the garden add seasonal interest and privacy. 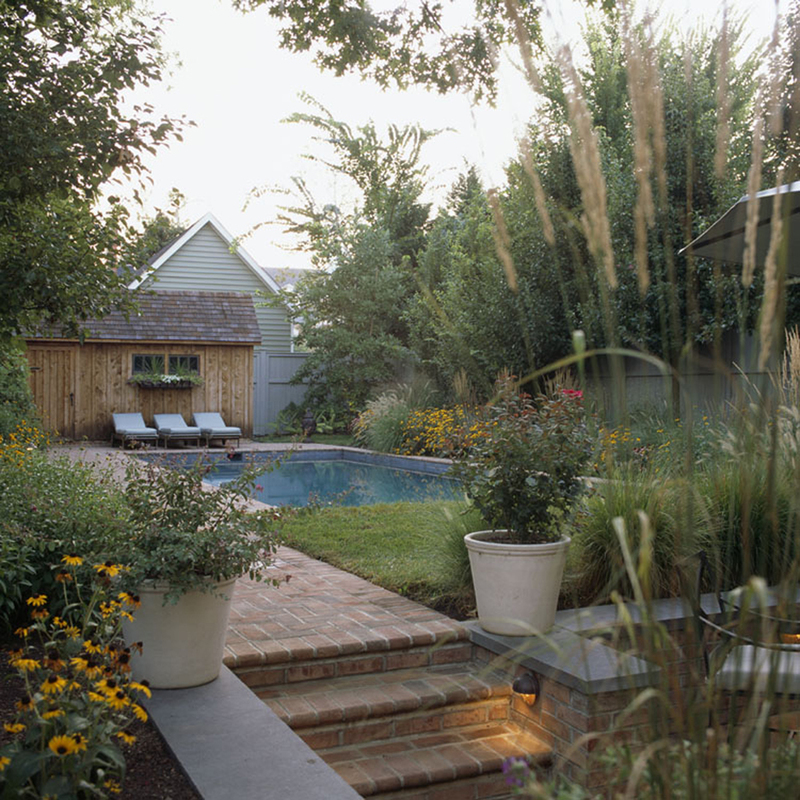 Complete with outdoor shower, South Fork Studio designed the pool house to be both utilitarian and integral to the overall design aesthetic of the garden. 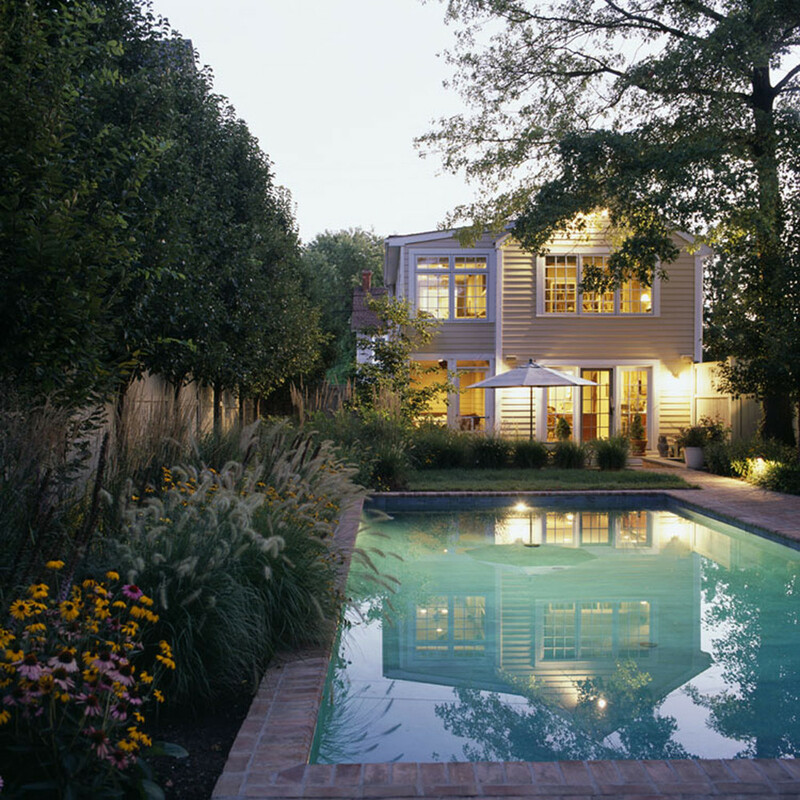 With garden tools and pool cleaning equipment inside, the rear of the pool house has a custom rack which can hold two single kayaks.